Smoke Detectors - A Hot Topic! Are you concerned with your home’s smoke detectors? If not, you really should be. Within the last few years, California laws regarding smoke detectors have changed… And not everyone has noticed! It is estimated that over 7 million Californians are still non-compliant with California regulations. That’s far too large a number! According to the National Fire Protection Association, the leading cause of non-fatal home fires is cooking equipment. Also, the leading cause of home deaths by fire were smoking materials. Over one quarter of home fires originate in the bedroom! Home fires cause $7 billion in damage per year in the USA, and 2500 deaths. A proper set of smoke detectors isn't a luxury, it’s a necessity! 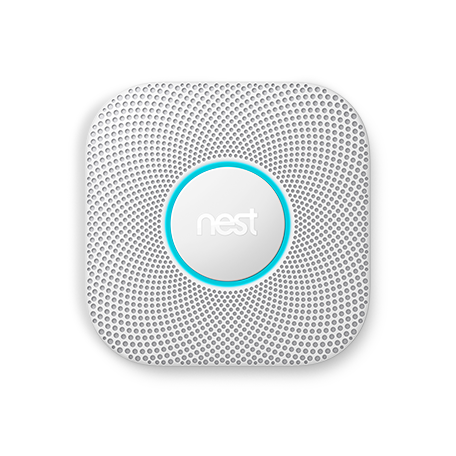 We always recommend the “Nest Protect”. It’s compliant with California regulations, its state of the art, and it will even notify your phone if it’s batteries are low. A good alarm isn’t cheap, but it’s a heck of a lot cheaper than a fire! Other safety equipment may be in need of a refresh as well. 10 years ago, a mandate went into effect that required 10 year carbon monoxide alarms to be installed. These alarms are about to run out of battery. California residents need to at least check their carbon monoxide alarm’s manufacture dates. Optimally, all California residents should be replacing them with more modern units. If battery operated, contain a non-replaceable, non-removable battery capable of powering the smoke alarm for at least 10 years. Do not underestimate the importance of buying the right smoke detectors, installing them correctly, and placing them in the best spots! Be aware that there are two types of detectors – ionization and optical; homes with both have better protection. Ionization alarms are sensitive to the smoke caused by fast-burning fires. They are best fitted near to your kitchen. Optical alarms are good at detecting smoldering, slow-burning fires. Smoke detector maintenance is often overlooked. Follow these tips to ensure your alarms stay in good working order. Today’s blog is important. It’s not just a quick read; It should be be a wake up call if you haven't updated your home’s smoke detectors! Remember, It’s not just for you… It’s for your friends and family as well. Share these tips with your loved ones. And, hopefully, we’ve gotten you ‘fired up’ about your home’s safety!